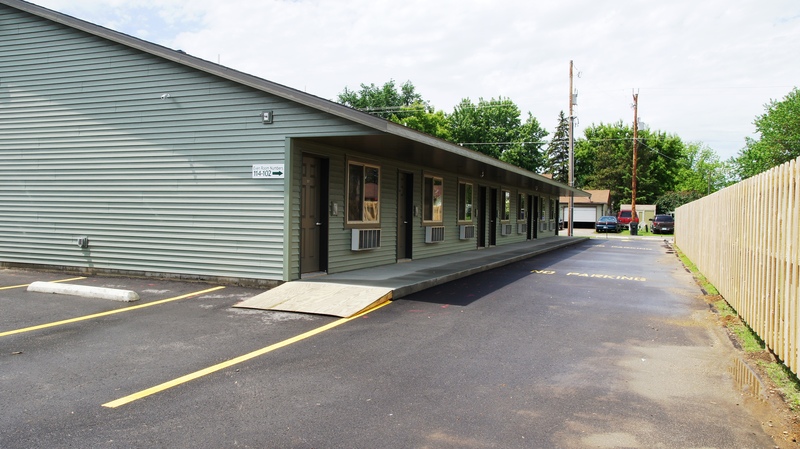 Search our motel for available dates and room types. 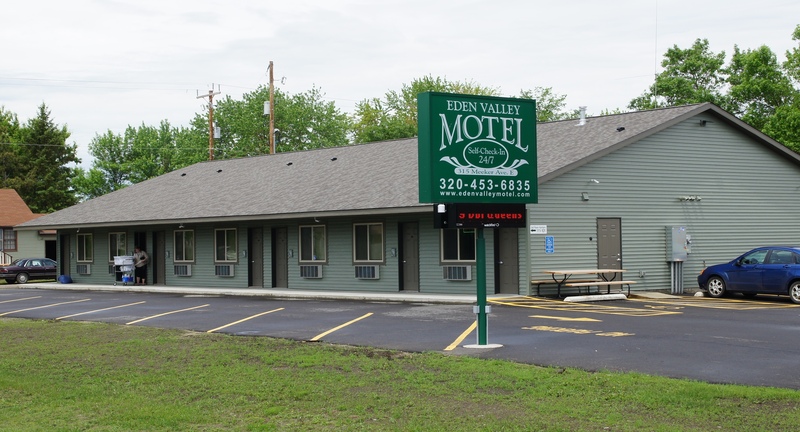 Located in the heart of central Minnesota, our quaint, comfortable accommodations are conveniently located off of Minnesota Highway 55. 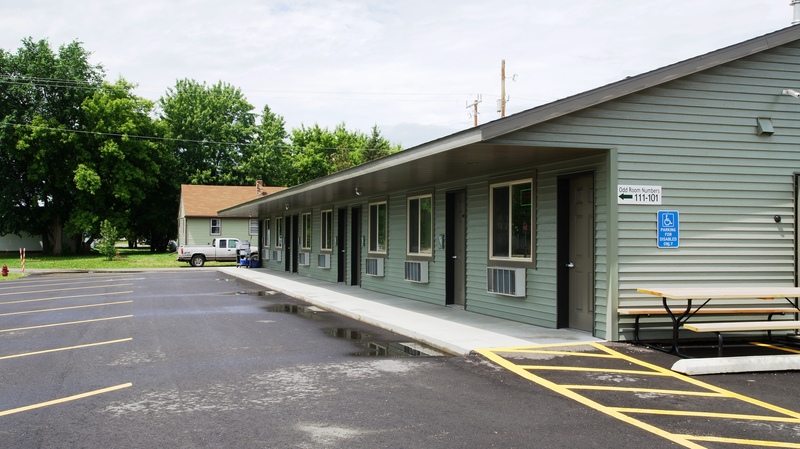 Whether you’re in the area for business; to visit family and friends; or enjoy one the many lakes, golf courses, walking/biking paths, hunting or other local attractions — we’re happy you chose to stay with us! Due to our self-service model, we encourage you to reuse your towels. Additionally, daily housekeeping is not included. If your stay is two or more nights and you would like fresh towels, please let us know in advance by email or phone. Our comfortable rooms offer either two queen beds or one king bed. All rooms are non-smoking. Each room features: free high-speed wireless internet access, cable DIRECTV, microwave, refrigerator, blow dryer, iron, and ironing board. Also, two of our rooms on the south side and north side (103 two queens & 105 one king and 104 two queens & 106 two queens) adjoin to create a family suite environment. Well behaved pets are welcome at no extra charge. For information about investment or franchise opportunities, email us. Please provide your name and contact information.